Your uninterruptible power supply (UPS) is your emergency plan to keep your business running in the event of a power failure, and one of the most critical components of that system is the battery. When the battery dies, speedy UPS battery replacement is important to keep your system ready and available in case it is needed. Here are a few essential tips for replacing your battery. A typical battery will last about three to five years, but that is just an estimate and could change based on the power load and the environment where you store the system. Optimal conditions for storage are a cool, dry room with proper ventilation. Systems that are housed in hot, humid environments, or in areas where power outages are more frequent (thus requiring the use of the UPS system more often) may require more frequent UPS battery replacement. Assuming you have a modern UPS system, it should come equipped with an alarm that will signal when the battery is getting low, in most cases it will be both a lighted signal and an audible alarm. When the alarm is triggered, pay attention and address the problem immediately to avoid complete battery failure. Even if you do not see or hear an alarm, if your system is not working, it’s a good idea to check the battery and find out if a UPS battery replacement will fix it before scrapping the entire system and purchasing a new one, which can be costly. It may seem like keeping spare batteries around would be helpful in case you need a UPS battery replacement, however, this is not the case. Purchasing and keeping a battery on the shelf for an extended period of time without using it will reduce the battery life unless you have some way to keep it charged the entire time it is in storage. When you are ready to replace your battery, you can explore the options of either purchasing it from the original equipment manufacturer, or as an aftermarket product. The advantage of purchase an aftermarket battery is often a lower cost, but be cautious and make sure you are purchasing one that will fit in your unit. Do not estimate the size, measure to the exact millimeter and identify a replacement battery that is exactly the same size, as even small deviations can prevent it from fitting in your unit. After you finish your UPS battery replacement, avoid throwing the old battery away with your regular garbage. The batteries contain several toxic agents, including metals and acids. If you’re not sure where to take it to get rid of it, ask the dealer from whom you purchased the battery if they have a recycling program or know of one. If that is not an option, call your local waste facility to find out the nearest place you can take the old battery. To reduce the need for frequent battery replacement, you can perform routine tests and maintenance on the system. Performance tests, run time tests, and safety tests are all important to conduct on a regular basis. UPS battery replacement is an essential part of maintaining an uninterruptible power supply that is ready whenever you need it. Knowing the proper steps for replacing an old battery can be crucial to having a proper backup power supply that keeps your business running smoothly no matter what happens. 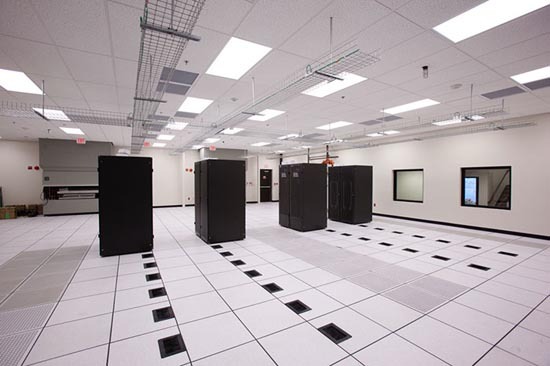 This entry was posted in data center maintenance, Uninterruptible Power Supply, UPS Maintenance and tagged data center maintenance, Uninterruptible Power Systems, UPS Batteries, UPS Systems. Bookmark the permalink.